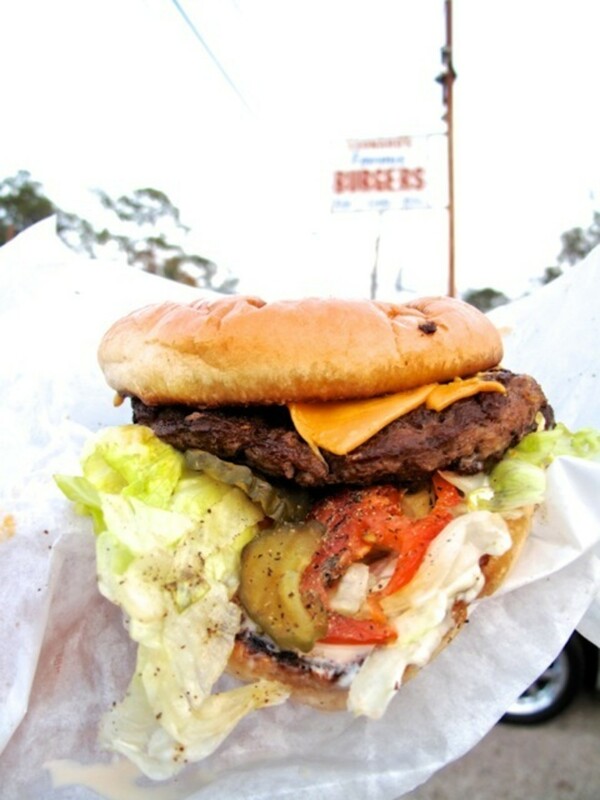 If you find yourself craving an old-fashioned greasy tissue-paper burger with the works, you can't do much better than Leonard's Famous Burgers at 1913 West Little York Road (713-686-3555). The moist hand-formed cheeseburger is topped with an American cheese square, and it comes with mustard, mayo, lettuce, tomato, pickles, onions, and lots of salt and pepper on a toasted bun. The burger is extremely juicy, as you'll quickly discover if you attempt to eat it in your car. The fries are handcut, very soggy and doused with ketchup--some people like their potatoes that way. The big surprise at Leonard's are the juicy beef links. It's hard to find beef links at African-American barbecue joints anymore, so it's really surprising to see them at a hamburger stand. There's often a line around lunch and dinnertime--the locals order from the window, and then sit in their cars waiting for their names to be called. A Leonard's Famous cheeseburger will set you back $4.